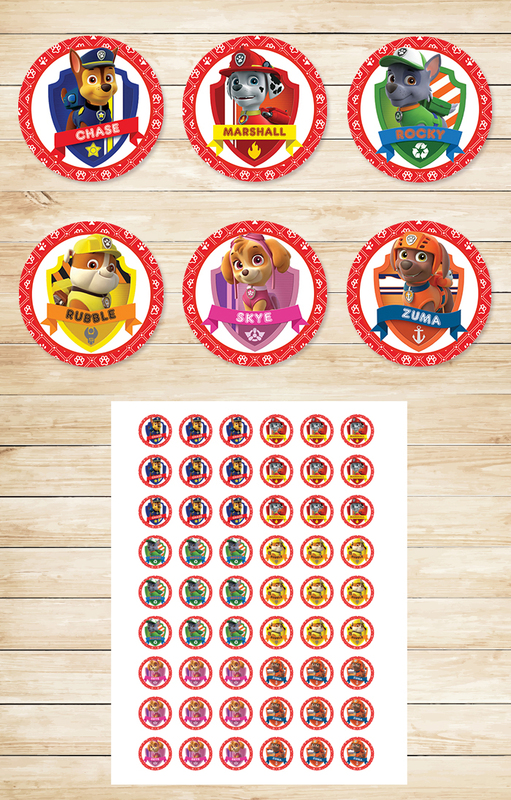 The size of each Paw Patrol Bottle Topper Inchies is 1 inch in diameter. These make great bottle toppers for your party. The file size is a standard 8.5 x 11 with 54 one inch stickers ready to print! There is also a Two Inch Paw Patrol Cupcake Topper / Stickers file available.